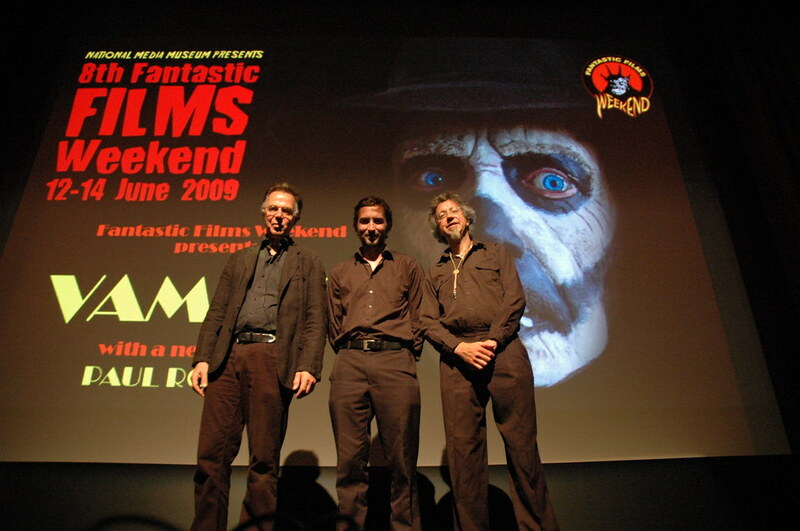 After 3 days, 31 films, 6 TV shows, 2 zombie film costumes and 1 glowing review in the Guardian, Fantastic Films Weekend 2009 drew to a close on Sunday night. Artistic director and FFW overlord Tony Earnshaw looked tired but happy by the end of our 8th horror and sci-fi filmfest. 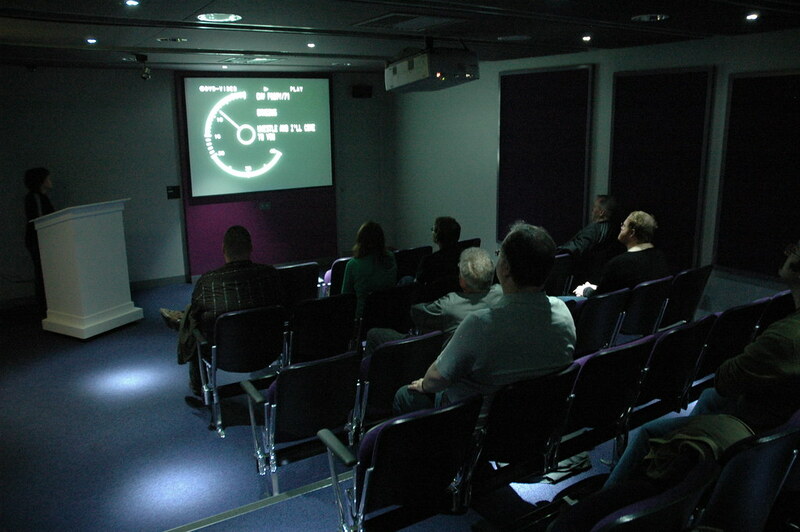 As Tony says, the busiest and best-received films were the mighty Aliens in 70mm (for which we had more audience laughter at Hudson’s panic attacks than we—and one disgruntled Twitterer—bargained for); the low-budget The Scar Crow, which most attendees agreed punches well above its weight; and The Disappeared. 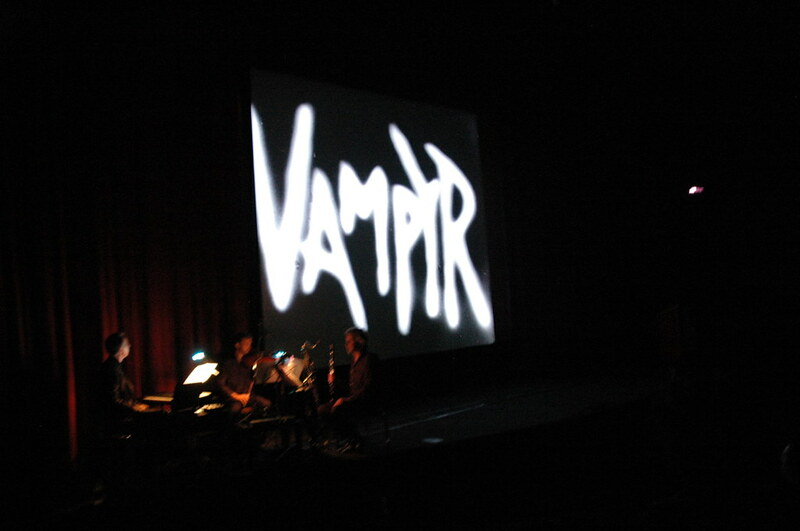 Our special screening of silent classic Vampyr, with specially-composed live accompaniment from Harmonieband, was packed, as was the screening of 1932’s Dr Jekyll and Mr Hyde. And of course there was Mike “Flash Gordon” Hodges’ fascinating screentalk on Sunday night. As for me, I was hectically rushing about grabbing photos of the event, and handing out the special “Twitter/Facebook/Flickr us!” minicards we designed and printed specially for the weekend. 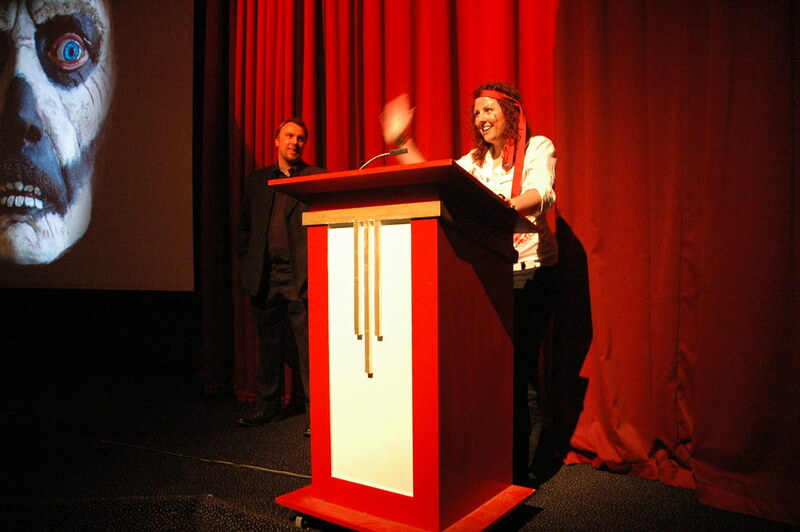 I unexpectedly ended up on stage before several of the films, dwarfed by the six-foot high Twitter hashtag (#ffw09) being beamed onto the cinema screens behind me. It was gratifying to see all that translate into some lively discussion on Twitter. 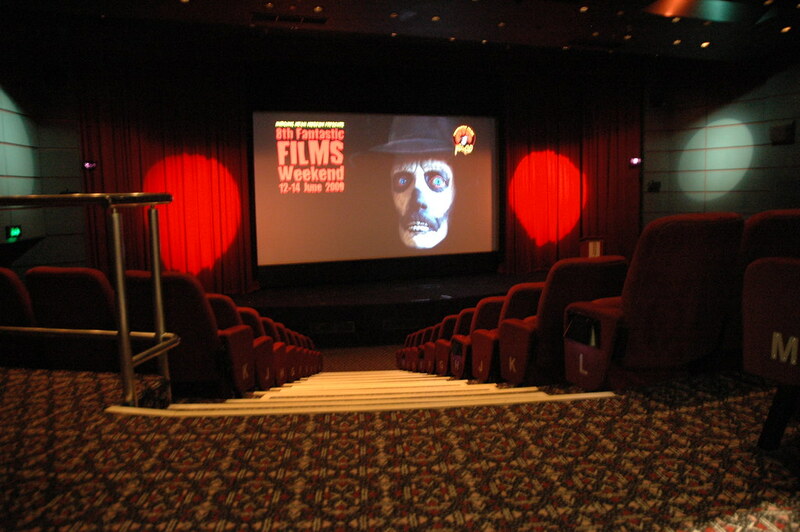 But we didn’t need Twitter to appreciate what a great community of horror and sci-fi lovers we have, many of whom bought passes for the entire weekend, and all of whom seemed to leave with happy faces (and tweets). Thanks to everyone who came along.